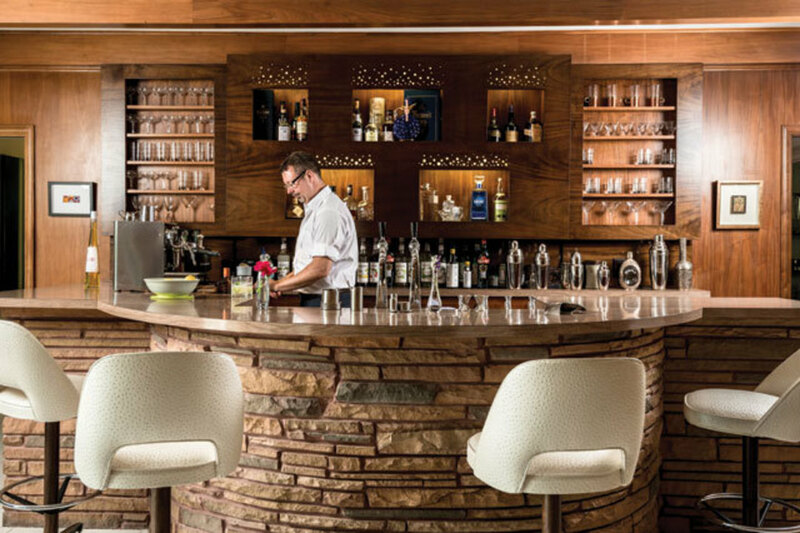 David Thompson’s bar is the heart of his home. The meticulously restored mod bar that anchors the living room in David Thompson’s perfectly preserved mid-century rancher in Braeswood—with vintage bottles of Scotch adorning the back bar and ostrich-lined barstools ringing the horseshoe-shaped Formica countertop—may not, at first glance, seem like the ideal place to host the neighborhood kids in the afternoon. 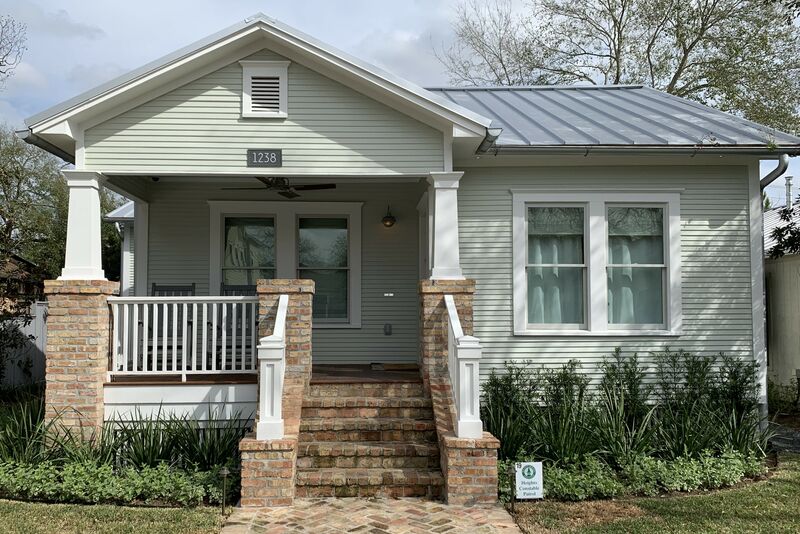 But for Thompson, wife Zoe, and their three young children, the bar, which is original to their 1955 house, is far more than that. It’s become the heart of their home. In this current age of mixology and modern techniques that have made cocktail bars into a booming industry once again, the home bar is often eschewed in favor of the city’s new drinkeries, where patrons are entertained and educated by spirited bartenders, and you don’t have to clean your coupe glasses before bed. 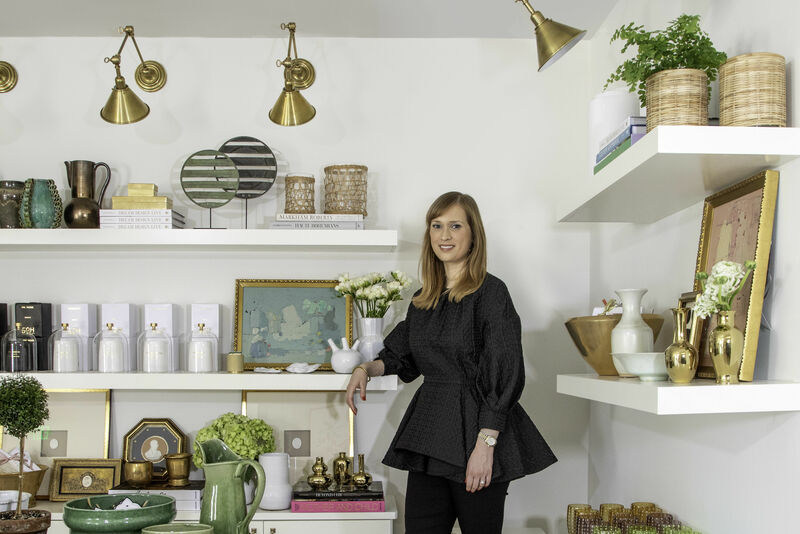 But for those who truly embrace the cocktail trend, the home bar can be a refuge—a place to entertain friends on your own terms, a place to create and experiment. Thompson—who laughs that he’s “very territorial” about his bar—comes by his love of domestic drinking honestly. When he was a child, his parents hosted happy hours every day at five, and he’s embraced the 1960s-era cocktail culture ever since. “I was born in the wrong era,” he sighs, sipping a Bee Sting he’s just whipped up and dropping anecdotes about Mad Men–themed parties and fundraisers he and his wife have hosted in the five years they’ve owned their home. 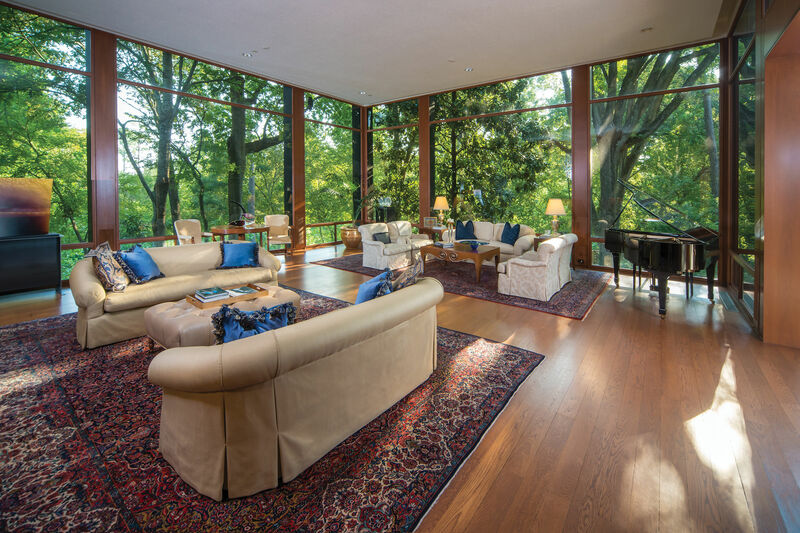 During these well-attended affairs, a swinging soundtrack typically plays over the home’s original speakers, smoking is encouraged, and the ’60s dress code is strictly enforced. “It’s so great when people dress up in this place,” Thompson says. 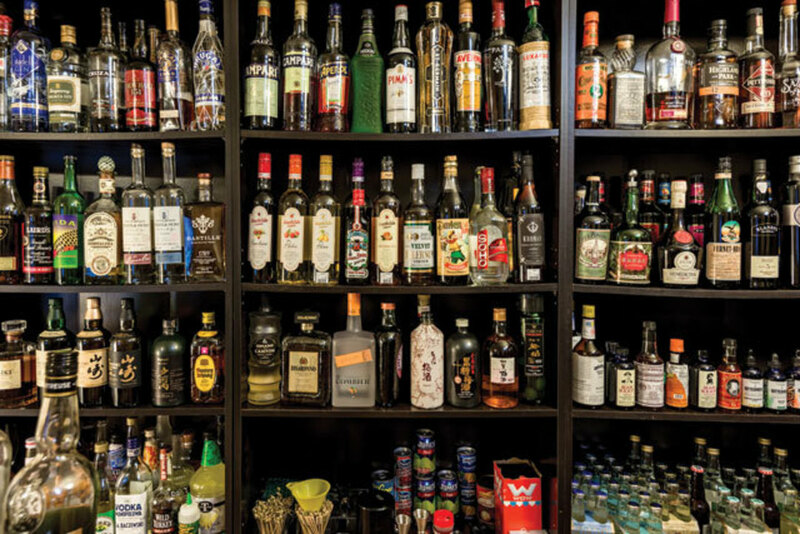 Steven Salazar’s collection rivals that of most bars. 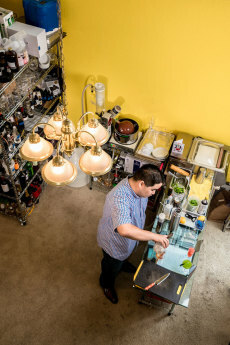 Steven Salazar, a trainee bartender at Anvil Bar & Refuge, also entertains at the elaborate home bar he’s constructed in his Galleria-area apartment, though the bookshelves in his dining room—lined with spirits, bitters, liqueurs, and other libations—also function as a home office. (He is a bartender, after all.) In his kitchen, a batch of turbinado syrup cooks on the stove while Salazar works on incorporating a spirit that’s new to America—baijiu, a distilled sorghum liquor originally from China that’s distributed locally by Byejoe—into a quasi-tropical cocktail with mescal and fresh-squeezed pineapple, lemon, and lime juices. Anvil, along with most of the city’s serious cocktail bars, is a good 20 minutes away from Salazar’s home. By bringing Anvil into his home (Salazar estimates he has the same amount of booze as the Montrose bar does—not to mention far more than any of his own neighborhood watering holes), he can both experiment on new menu items without making the drive and bring cocktails out to the provinces. Alvin Schultz makes the kind of cocktails you can’t get in Houston. Friends who pay a visit to Alvin Schultz’s home are also in for a treat, but not of the classic cocktail variety. The former MasterChef contestant whose molecular gastronomy skills made him a standout on the Fox show employs similar mad-scientist techniques when dreaming up drinks for friends. Schultz is also something of a vanguardist, one who fuses lemongrass, ginger, and Sichuan peppercorns into a vodka cocktail—not with traditional muddlers or shakers but rotary evaporators and centrifuges. These two particular pieces of machinery are more often found in scientific laboratories, which is a bit what Schultz’s home bar looks like. He even uses 500ml beakers to mix his drinks, preferring their wide openings and handy mouths for pouring. “This is a modification of a Corn ’n Oil [cocktail] made with Smith & Cross Jamaican rum and Rainier cherries,” Schultz says, passing a ruby-red concoction across the glass top of his stainless steel bar. “I used the centrifuge to clarify the cherries.” The result? A cocktail with gem-like clarity and a flavor much stronger than traditional techniques like muddling or infusion could ever achieve. Though Schultz—whose day job finds him managing several electronic manufacturers in Texas—has no plans to open a bar of his own, he hints that he’s considered doing a cocktail pop-up or two, and we hope he does, because no bar in Houston is making cocktails like Schultz makes cocktails. Who else would use a rotovap—industry slang for a machine that separates liquids based on their volatility—to make an overproof green chartreuse distillate that at 85 percent ABV can really only be used as bitters or a flavoring agent? Schultz condenses the rest into a lime-colored, non-alcoholic treacle that he keeps in a jar labeled “The Best Simple Syrup.” Both taste remarkable for different reasons, and both open up a whole new world of cocktail possibilities. 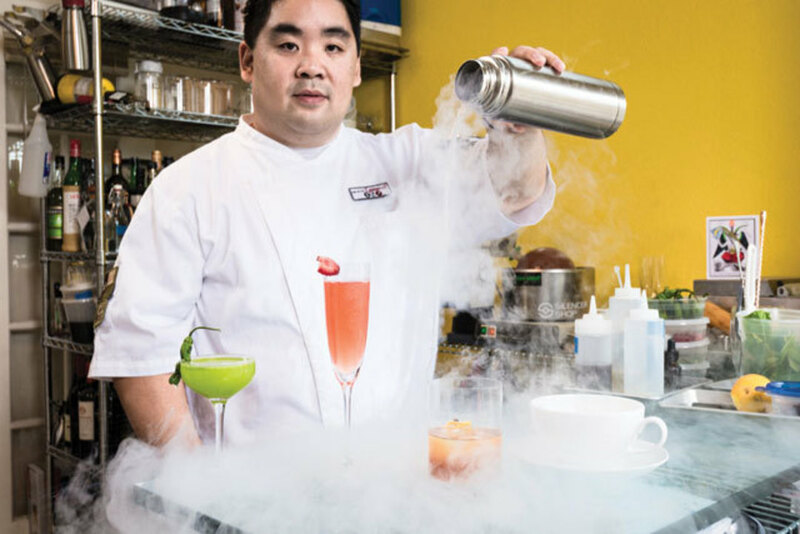 Schultz first became acquainted with such techniques during a trip to Manhattan in which he visited Booker and Dax, the modernist cocktail bar attached to Momofuku, chef David Chang’s famous molecular gastronomy temple. “That’s where I fell in love with cocktails,” Schultz says. Once back home, he started creating his own versions of Booker and Dax specialties like the Banana Justino: four grilled bananas and a handle of rum, pureed, poured into a centrifuge, and spun until the rum is fully infused with the sweet, caramelized flavor of Bananas Foster.